BERNARD, ALDIS, dentist, mayor of Montreal; b. c. 1810; d. 3 July 1876 at San Jose, California, and buried 15 July at Montreal, Que. Aldis Bernard, probably the son of loyalists, was born perhaps at Beebe Plain, in the Eastern Townships, as certain newspapers indicated at the time of his death; however, there is nothing to confirm this statement. After studying dentistry at Philadelphia, Bernard practised his profession in the southern states, where he married Mary Webb Meredith, who came from Maryland. He stayed for a year in the Niagara region, and then in 1841 took up residence at Montreal. Four years later his wife died, leaving him one child. In 1847, Bernard tried unsuccessfully to get his profession included in the bill whose aim was to create the College of Physicians and Surgeons of Lower Canada. The fact that this profession was in ill repute among doctors perhaps explains why he failed in his attempt. In 1869, however, when the number of dentists in Quebec had increased, they united, backed by the prestige of this veteran practitioner, and formed the Dental Association of the Province of Quebec. Bernard was its president until his death. 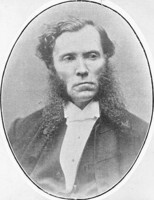 He was a liberal in politics, and was elected municipal councillor by the property holders of the district of Montreal Centre for 1858 to 1861, then for 1866 to 1873. 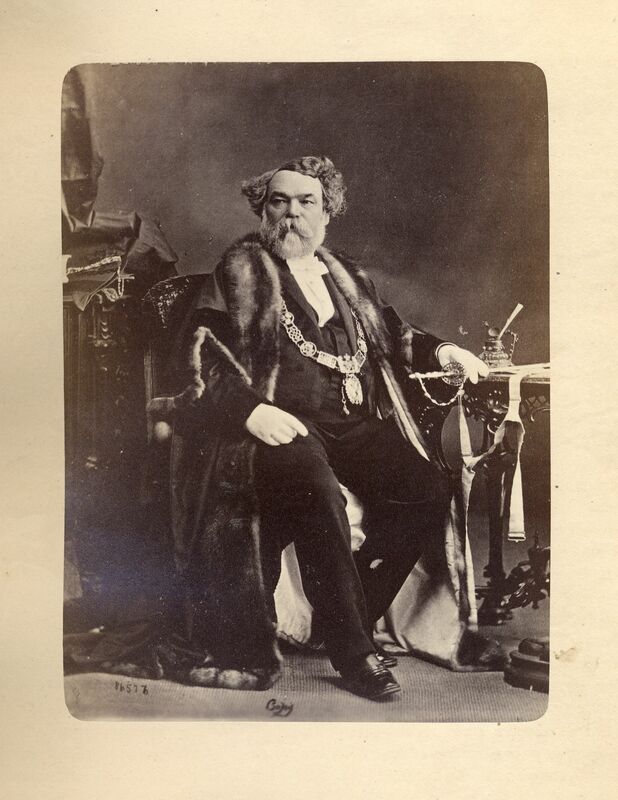 As chairman of the committees on public order and health, he proposed regulations allowing the creation of the City Passenger Railway Company of the City of Montreal, providing for the inspection of milk, and forbidding the sale of spirits on Sundays. In 1872, while he was chairman of the finance committee, he successfully negotiated the first city loan on the London market, after the treasurer of Montreal, who had been sent to England for the purpose, had failed in face of various difficulties. In 1868 he was appointed alderman by the municipal council, and in June 1873, after some 10 ballots, his colleagues elected him acting mayor to succeed Francis Cassidy, who had died in office. The following year he was re-elected to this post by popular vote. The municipal administration, under Mayor Bernard, laid out Mount Royal Park, rented Île Sainte-Hélène from the federal government for a park, acquired the former Protestant cemetery, which subsequently became Dufferin Park, and began the construction of the city hall. In 1875 Bernard did not stand for the mayoralty; he retired from public life, and went to California a few months before his death. In 1852, in the parish of Notre-Dame, Bernard had married Sarah Couch. As Bernard’s wife was Catholic and he was Protestant, she received dispensation from the reading of the bans. However, their seven children were baptized at the St James Methodist Church. Bernard was a member of the Grand (Orange) Lodge of Canada, in which he certainly held a high position; for proof one has only to look at the impressive list of officers of Canadian and American lodges who attended the demonstration in his honour at the time of his burial at Montreal. AJM, Registre d’état civil (notes biographiques fournies par Jean-Jacques Lefebvre). AVM, Procès-verbaux du conseil municipal, 87, pp.209, 210–11; Procès-verbaux du conseil municipal, 92, pp.169–74; Procès-verbaux du comité des finances, année 1872, pp.365–66, 369–72, 381–83. Institut généalogique Drouin (Montréal), Aldis Bernard. Gazette (Montreal), 12 Dec. 1845; 6, 17 July 1876. L’Opinion publique (Montréal), 3 août 1876. Histoire de la Corporation de la Cité de Montréal, depuis son origine jusqu’à nos jours . . . , J.-C. Lamothe et al., édit. (Montréal, 1903), 213, 297, 299. “His worship, the mayor,” Canadian Dental Assoc. J. (Toronto), XXXIII (1967), no.11, 30–40. Léon Lortie, “BERNARD, ALDIS,” in Dictionary of Canadian Biography, vol. 10, University of Toronto/Université Laval, 2003–, accessed April 24, 2019, http://www.biographi.ca/en/bio/bernard_aldis_10E.html.